Our Research and Development Laboratory, a “test kitchen,” for experimenting, vetting, and exploring innovative arts-based methodologies and partnerships. As a creative and active think tank, we remain open, flexible, and responsive to the world around us. To strengthen our Research and Development (RaD) regarding innovative arts-based methodologies, we believe it is critical to our mission to reserve some our Center’s human resources to explore new areas of opportunity on an annual basis. The best way to birth such projects will be through our Art & Global Health RaD Lab, where we continue experimenting with new ideas, vetting and exploring as we go. An annual meeting or gathering of advisors to discuss these projects will insure that new ideas continue to be generated, and that an intelligent choice is made about the next big project for the Art & Global Health Center. 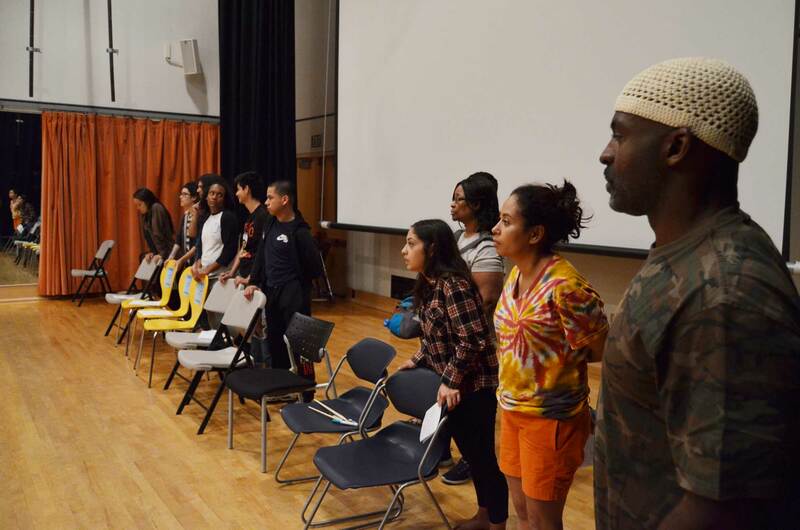 In conjunction with Bryonn Bain’s UCLA Prison Education Program, during the spring quarter of 2018 UCLA students enrolled in the course: “Legislative Theater for Racial Justice.” Through collaboration with incarcerated students at the Barry J. Nidorf Juvenile Detention Center (BJN), these students created an all original piece of theater using the methodologies of Theater of the Oppressed. 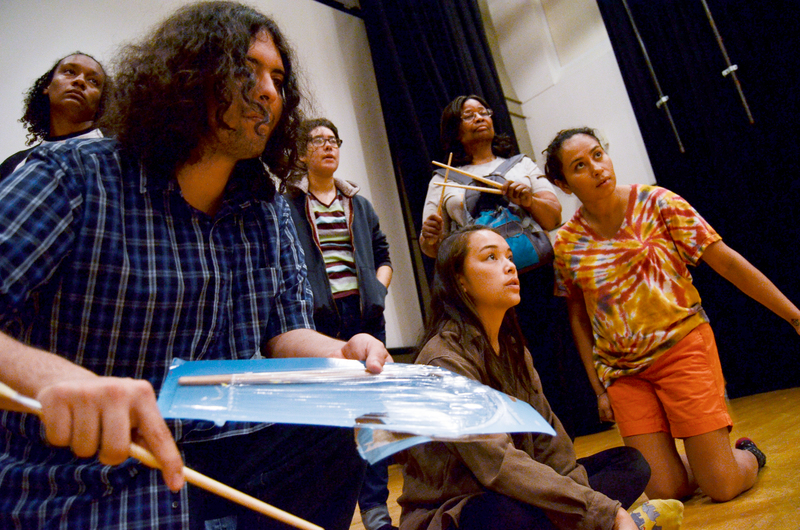 Students in this course were taught by visiting Brazilian theater activist and scholar Alessandro Conceição, who works closely with us through the Center for Theater of the Oppressed in Rio de Janeiro. 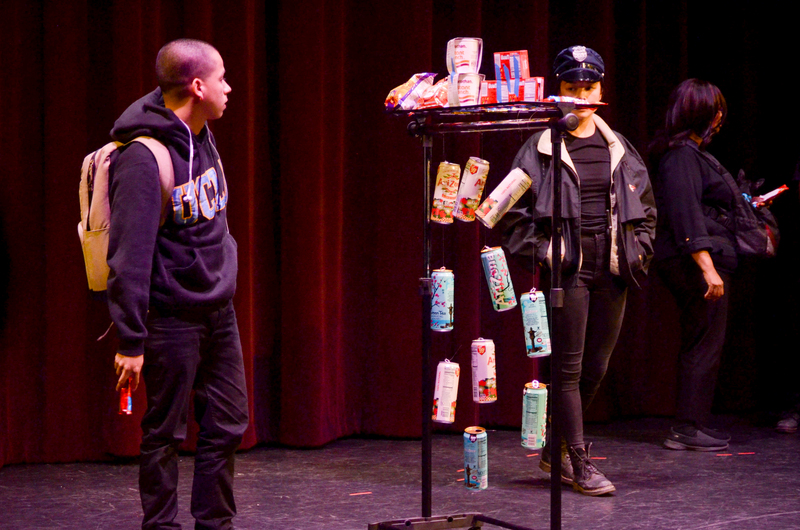 This collaboration culminated in performances at both UCLA and BJN, where we invited legislators to view the play and come up with new pieces of legislation aimed at reducing racist mass incarceration. This collaboration will continue in the 2018-19 school year. Each year, we take a group of UC students to Rio de Janeiro to study Theater of the Oppressed in its birthplace. These students engage in a month of learning about Brazilian history, arts, cultures, and activism, as well as rigorous study with the Center for Theater of the Oppressed and its community groups. From 2013 to 2015, we collaborated with New York-based PCI Media Impact to co-teach a course titled “Soap Operas for Social Change” at UCLA. Together, we have refined a model for universities across the nation to address sexual assault on their campuses via a student-generated media project. 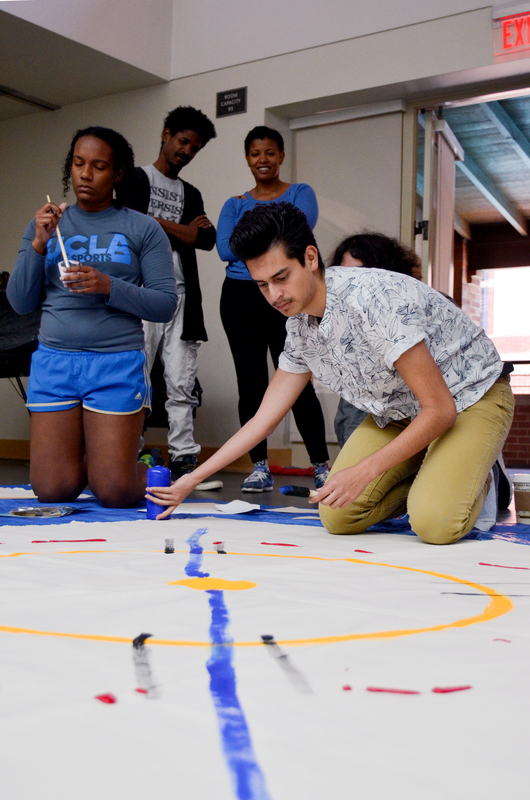 In 2014, UCLA students created “The [What] We Want,” a four-episode mini-drama and facilitation guide that has been picked up by UCLA’s Office of Residential Life to share with incoming first-year students. Moreover, PCI has included the Art & Global Health Center in its vetting process with UNICEF, which will allow us to be included in future contracts with major international organizations. The Mixtec Radionovela project is a collaboration between the Mixteco Indigena Community Organizing Project (MICOP), UCLA Fielding School of Public Health, PCI media and the UCLA Art & Global Health Center. This ongoing project created the radionovela, Aprendiendo de La Vida that follows the story of two middle aged sisters navigating women’s health as indigenous, migrant women working and living in their agricultural community of Oxnard California. This piece was created in deep collaboration with community members of the MICOP organization, many of who were cast as voice actors in the radionovela. One of our most important ongoing relationships is with the Art & Global Health Center Africa (Art Glo), directed by Helen Todd, and founded by UCLA WAC/D alumnus Dr. Galia Boneh, who studied under David Gere. Art Glo is carrying on remarkable work in southern Malawi, using theater to inoculate against HIV in rural areas (where infection rates are as high as 15% of the population); establishing a secondary school sexual health education program modeled after AMP! ; and inspiring young college students to participate in creative development activities through a novel program called Students with Dreams. Dr. Boneh has based her center on UCLA’s model, drawing on the arts activist principles of MAKE ART/STOP AIDS, but she has also extended that model in her own unique way, inventing new programs and approaches adapted to her southern African environment. Fittingly, her center remains connected to the UCLA Art & Global Health Center even as it maintains its independence. Our Center consistently attracts talented arts activists who are also expert facilitators to become members of its staff. We would like to continue to offer select academic and community trainings, led by our staff. We also recognize this as an area for growth and revenue. For example, three of the Art & Global Health Center staff members have been hired in a new contract funded by the Robert Wood Johnson Foundation to participate in the Southern California Collaborative for the Design of Transformational Leadership Programs to Build a Culture of Health. The staff will lead arts-based exercises to elicit information and input from a multi-stakeholder group of academics, health professionals, community leaders, policy makers, and entertainment industry members. This is an emerging win-win strategy for our Center: an opportunity to strengthen important relationships while making a significant arts-based contribution to a new national training program for clinical scholars; and receipt of a significant percentage of revenue (8% of annual salaries) to cover the costs of our staff contributions. We thank you very much for your interest in the UCLA Art & Global Health Center's RaD Lab. To learn more, please reach out to us.